New Directions Publishing Corporation, 9780811218573, 240pp. 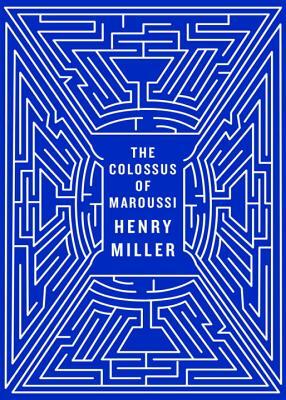 Like the ancient colossus that stood over the harbor of Rhodes, Henry Miller's The Colossus of Maroussi stands as a seminal classic in travel literature. It has preceded the footsteps of prominent travel writers such as Pico Iyer and Rolf Potts. The book Miller would later cite as his favorite began with a young woman's seductive description of Greece. Miller headed out with his friend Lawrence Durrell to explore the Grecian countryside: a flock of sheep nearly tramples the two as they lie naked on a beach; the Greek poet Katsmbalis, the colossus of Miller's book, stirs every rooster within earshot of the Acropolis with his own loud crowing; cold hard-boiled eggs are warmed in a village's single stove, and they stay in hotels that have seen better days, but which have an aroma of the past.